It’s glorious summer outside, so being the geeks we are we decided to stay inside and watch a documentary about video games: The King of Kong: A Fistful of Quarters . In actual fact we recorded this podcast several weeks ago, but as we’re hopelessly busy and behind schedule at the moment (see last podcast), I’ve only just got round to editing it (believe it or not, we actually spend quite a while editing these things, mostly in an attempt to quieten Ian’s ear-deafening laugh). Anyway, seeing as we’re so both busy at the moment, we’re planning to post every other Thursday rather than every week for the time being – normal service will be resumed when things quieten down a bit. So, King of Kong. 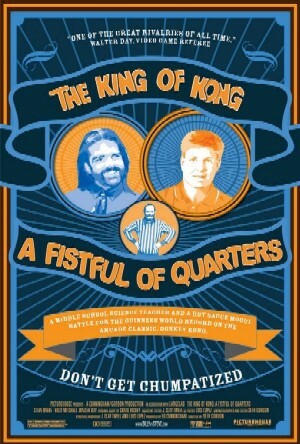 This is the second feature-length documentary we’ve covered for 101 Films after Dogtown and Z-Boys, but unlike the slightly smug Dogtown, we both rather quite liked King of Kong‘s oddball tale of two uber-nerds competing for the all-time Donkey Kong high score. It sounds like rather a thin idea for a documentary on paper, but it actually provides rich entertainment, mostly thanks to the bizarre character of Billy Mitchell. Billy seems to have an almost pathological desire to ‘be the best’, and as Ian points out in the podcast, it seems almost incidental that he chose classic video games as the mountain to conquer. As the doc starts he’s the undisputed king of the video game hill, but a small-town rival enters in the form of family man Steve Wiebe… Cue bitter recriminations, suspicious dealings and edge-of-the-seat tension as the two go head to head. Plus a lot of comedy alpha geeks throwing their weight around. It really is fantastic viewing, even if you don’t know your Jumpman from your Mario. Highly recommended. 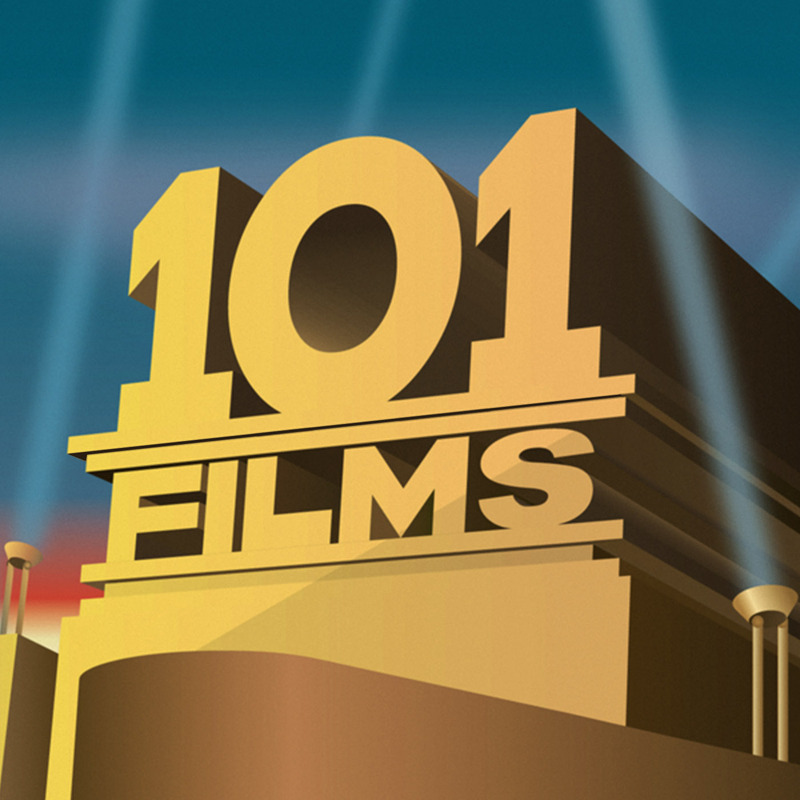 Last but not least, our Secret Sponsor for this week is Films Worth Rating (@WorthRating).